Providing Architectural Doors, Frames, Builders & Electronic Hardware. Our Products Will Meet or Exceed Your Expectations & Specifications. Kurtz Architectural Doors and Hardware has worked with some of the best companies in Iowa to meet their needs for commercial door products. Our products include sectionals, fast action, crash doors, and more. 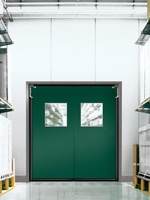 We work with dozens of vendors to provide you with a wide variety of industrial door choices and options. Trust Kurtz to find the perfect industrial doors for your needs. Every day, hundreds of people pass through retail and office doors installed by Kurtz. 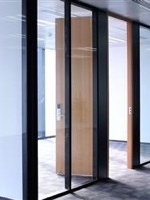 We excel in this arena, and understand the unique requirements of retail and office doors. You want doors that are attractive and inviting, yet safe and durable – and that’s exactly what you’ll get when you work with us. No exceptions. Hospitals, schools and universities, government buildings, military facilities, apartment complexes. No matter the type of organization, Kurtz has the resources and expertise you’d expect to help meet your needs. 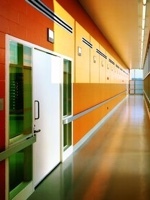 Our doors provide easy access, are durable and safe, and withstand heavy use and abuse. We have a list of institutions across Iowa that couldn’t be happier with the quality of the materials and service they’ve received from us. We hope to make your institution next on our list of satisfied customers. Rooted in History. Prepared for the Future.